A Lean Journey: Guest Post: Lean & Social Media – Is There A Process for That? Guest Post: Lean & Social Media – Is There A Process for That? I am pleased to be able to share a guest post by friend Jason Semovoski. We met working together on AME's (Association of Manufacturing Excellence) social media council. Jason is known for his strong background with technology management and is currently in the role of Business Analyst Consultant. His previous assignments include Plant Operations Manager and IT management positions. 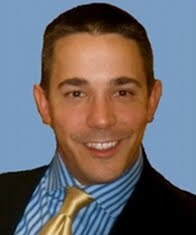 Jason is a Southwestern Region board member for AME. He is currently working on several technology and Lean projects as well as leveraging Web 2.0+ technologies to improve business communications. You can follow Jason on Twitter- @jwsems or visit his blog Lean Stuff. Like it or not, Social Media (SM) is entrenching deeper into our lives. Everywhere we look Facebook, Twitter, or YouTube logos are emblazoned on almost anything we come in contact with during the day. One can argue it has definitely become a push process from a marketing perspective, but what about value? In a great blog post "Social Media – Can we make it add value to lean?" Karen Wilhelm presents a pull methodology regarding her experience with leveraging SM tools. By all means, it's not a stretch to use Karen's example as "pull" in social media and I agree fully that her approach works well when properly utilized (Hint: read her blog post.). Although even as a pull process can it create waste? In "good" blog posts there are multiple links to external sites which is great to lend credibility and allow the reader to conduct further research, however you all know what happens next, right? One link takes you to a site which can drive you deeper into a topic. You click the next interesting link which may drive you away from the topic or you click on yet another link and drive deeper into the abyss of data. You can easily emerge from the web device two hours later having accomplished a large amount of reading as the only result. We all know this is easy to do even with our time deprived schedules. So is there value along with a process? Absolutely! Social Media and tech guru Clayton Morris addresses this topic in his podcast "Today In Social Media." Specifically, Clayton outlines a simple process for integrating SM into your daily routine. Those of you familiar with the Getting Things Done or GTD system will find his advice quite similar to the GTD approach. Individuals with lean experience will find that Clayton has developed a standard work process for SM. He has integrated an approach similar to Karen's example of creating value while leveraging daily standard work. If this is too much for you, possibly add it as a weekly standard work item. I realize the example is simple and why shouldn't it be. Building relationships and continuous learning are great "non marketing" examples of where social media can provide value to the lean practitioner. Making social media a part of your personal standard work process will keep you focused and assures you keep creating value for our lean community of practice. Social Media has opened the doors to gaining easy access to ideas and insight from people you would have had not contact with just a few years ago. I am benefiting from contact with and exposure to some experiences and great thinkers within the Lean community that are in completely different segments of manufacturing. Previously, I would have been limited to a small circle within my company and maybe a few others within my network. Thanks guys for mentioning my blog post. Jason and Tim are my teachers on the AME Social Media Council, where they are leading us in using an A3 approach to remaking our purpose and actions in the coming year and building closer connections to other teams in AME. We're also learning a lot about using collaborative tools to make a geographically-dispersed team function effectively. To Jason's point, we're following all those links because we're learning about a subject we care about, and learning about who knows and who doesn't. We need to always set aside time for learning. Keeping it in check is the challenge because it can be so satisfying.